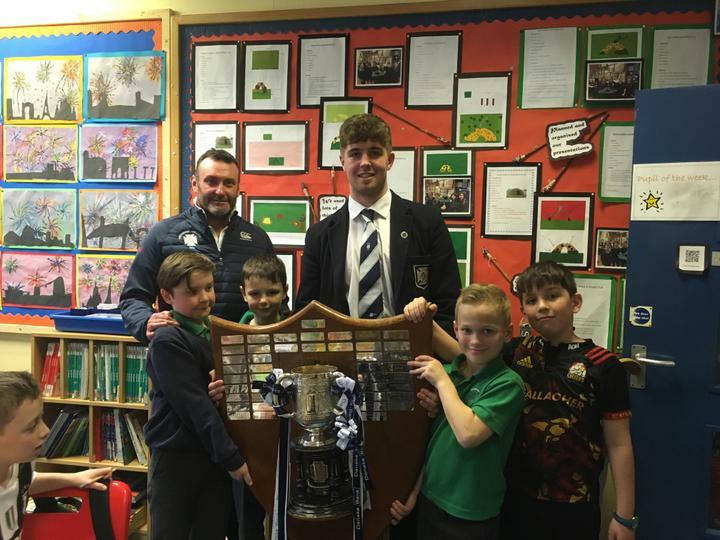 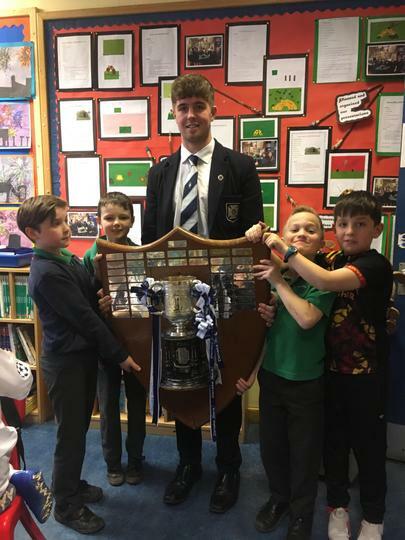 Former pupil, Ben Gourley, member of the Methodist College team who won the Schools' Cup visited Year 5 bringing along team coach, Nick Wells and the trophy. 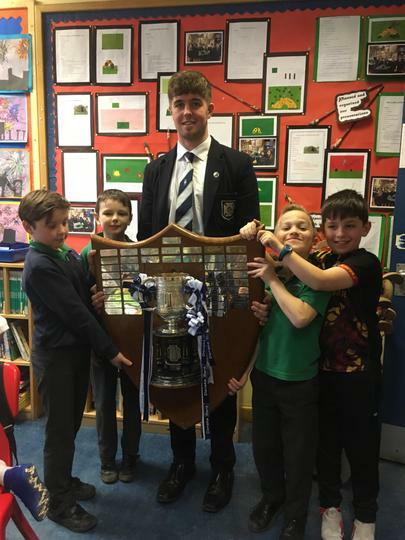 Congratulations to Ben, Nick and the whole Methody Team. 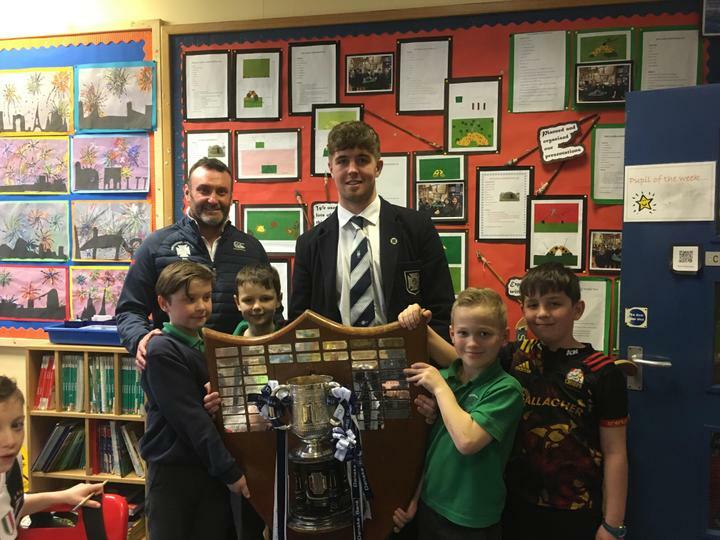 We look forward to regular visits from Ben when he wins trophies for Ulster and Ireland!